In a city where IIT – Joint Entrance coaching starts at the age of 11, there are a handful of children who are staying away from the mad rush of competitive classrooms. Parents say that opting for alternate schooling which do not follow the conventional methods of classroom based education is a tough decision to make but it’s totally worthwhile. Hyderabad has a few schools which offer alternative education where art and craft is not just an extra curricular activity but subjects that form a good portion of the academic schedule. From cooking to fishing, nature walks, toy making and astronomy, alternate schools in the city offer a holistic learning environment for the child where critical thinking is encouraged and appreciated. And parents who opt for alternate methods of learning say that their children are not losing out on anything. Around 15 per cent of the total students from the state take exams under the National Institute of Open Schooling. School managements say that alternative education is catching up among the urban bred affluent parents. The Peepal Grove School, alternative residential school in india providing alternate mode of education which started in 2006 in Madanapalle in Chittoor district reports a large number of students from Hyderabad and other south Indian cities including Bangalore and Chennai. 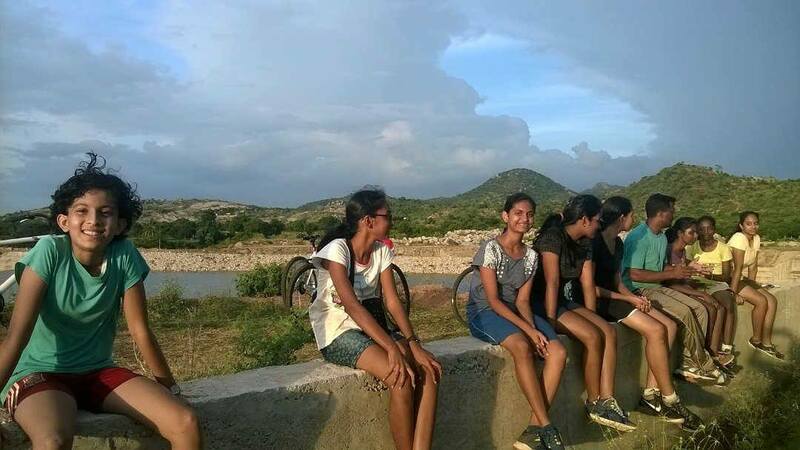 Of course, Madanapalle is better known as Jiddu Krishnamurti’s birthplace where he also founded the well-known Rishi Valley School, alternative residential school in india that follows an ICSE curriculum but is known for its more life-skills oriented approach towards education. “Of a total of 130 students we have, a majority are from South India. The school offers its own syllabus to children within the age of nine to 12 and later allows children to write ICSE board examination to get a certificate for higher education. Our main emphasis is on critical thinking,” said Viraj Naidoo, the Academic Coordinator of The Peepal Grove School. While the school hours are divided into periods, the school doesn’t follow prescribed set of textbooks but believes in free learning, even if it means teachers collating age-appropriate data from various sources, including the Internet. Then there are the Waldorf schools, which started out as a concept in Germany emphasize on back to the nature learning methods. “We believe that childhood is an impressionable age and hence what we expose the child to becomes very important in personality formation. Learning starts from the use of wood toys instead of plastic ones,” said a teacher of Sloka School. Alternative Education is truly the best way to take-off every kind of tension from the brain of a pupil and enable the student’s critical thinking ability to enhance. The Peepal Grove residential school management is carrying out a genuine job!!! Students who opted for alternative schooling methods have later proven themselves in the competitive world, showing how choosing the road not taken can make all the difference.